Power plant: One 250shp/186kW Rolls-Royce Eagle lll or One 230shp/172kW Siddeley Puma. Total built: Approx 250 (westland built). Full order not completed. 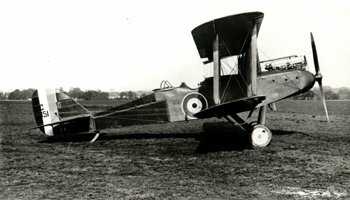 Production of the DH-9 followed the DH-4 contract, approximately 250 machines were produced.